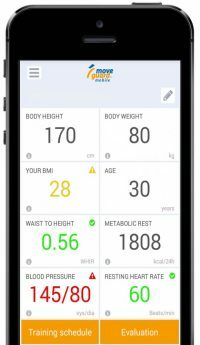 The moveguard training companion is the first app which is based on scientific knowledge. It sets up a customized training plan and adjusts to your individual needs. 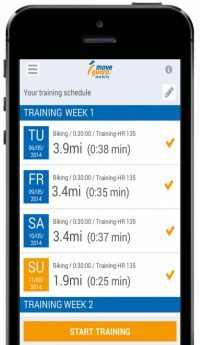 With moveguard it will be easy to integrate a workout routine into your daily life. The training companion was developed on the basis of the latest findings in the fields of sports science and sports medicine and based on 5.000 performance diagnostics. moveguard is a unique and high-quality product that supports your training optimally. On the basis of your personal vital parameters and a questionnaire on your sport activities, your individual intensity zone is calculated. Afterwards, the training companion provides you with information on how long and intense you should exercise. In this way moveguard allows you an optimal and healthy training. The individual training companion is suitable not only for beginners and returners in the world of sports but also for active athletes. moveguard sets up your personal fitness plan with the endurance sports of your choice. Be individually accompanied while cycling, swimming, aquajogging, walking or running and stay independent of time and place. As part of a Swisscom campaign in August and September 2015 moveguard will be promoted online, in a Newsletter, in 180 Swisscom shops and in the Swisscom magazine. Get more information on this campaign in the category Press. 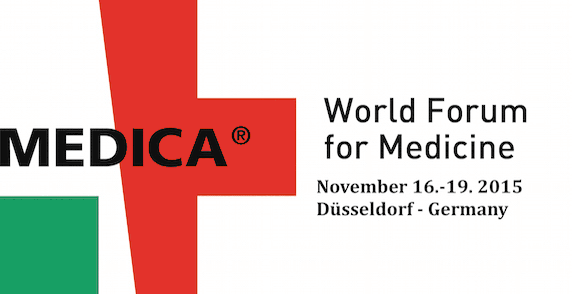 This year we will look for the most recent medical trends at the MEDICA. The categorie “Medical App” will certainly offer a lot of interesting renewals. From 24th till 27th June 2015 moveguard is at the 20th Annual Meeting of the European College of Sports Science in Malmö, Sweden. Apart from presenting our most recent findings we will get new input to keep improving our fitness app for you. On 22th and 23th June 2015 the DLDSummer Conference takes place in Munich. Interesting facts and findings in the fields of Health, Technology and Lifestyle will be presented. Follow all discussions, speeches and workshops via livestream on the website of the DLDSummer Conference!